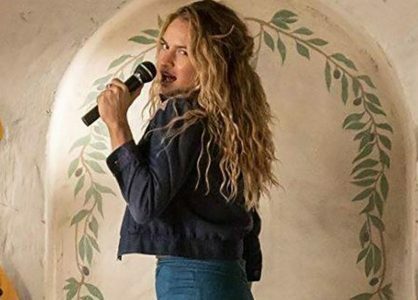 This Friday, 20th of July 2018, is the UK release date for the second Mamma Mia film, Mamma Mia! Here We Go Again. Whilst we’re looking forward to another attempt at singing by Peirce Brosnan, we’re most excited about the beautiful set location. Key scenes of the film where not in fact filmed in Greece where the movie is set, but on the idyllic Croatian island of Vis. 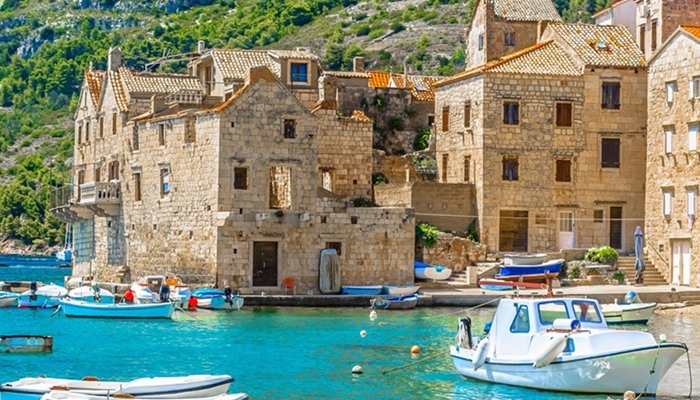 As with most Croatian islands, Vis has a unique character. 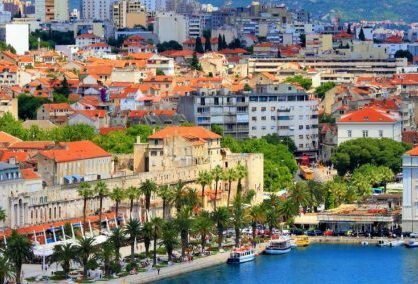 It is known to be the most mysterious of the Dalmatian islands because until 1989 it was used as a research base for the Yugoslav army and was closed off to visitors. This isolation has left behind a calm tranquillity and traditionalism that the recent boom in tourism has nearly extinguished elsewhere. What are the best things to do on this sleepy island? Josip Broz Tito, the leader of the Communist Party of Yugoslavia and the Resistance to Nazi invasion, had his hideout on Vis. To reach this politically historical cave, you’ll take a turning off the main road and, on reaching the end of the secondary road, park up and climb down stone steps. Be forewarned though – there’s not an awful lot to see once you reach the caves, but it’s exciting to think of the plotting that went on here and to see a fascinating slice of Vis’s history with your own eyes. A more visually spectacular cave in the vicinity of Vis, is the Blue Cave on the coast of nearby Bisevo island. 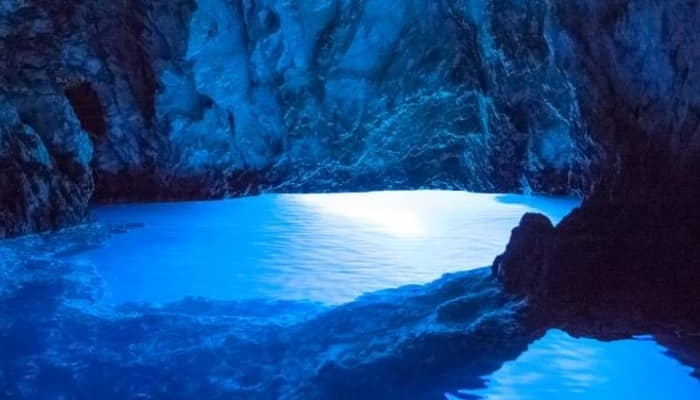 At certain times of day, sunlight enters the cave, travels through the water and illuminates the cave in a bright blue light. You’ll need to get your timings right to see the spectacle. The best time to visit is in the morning, but this is a well-known fact so many boat tours arrive at this time which means a queue to the access point often forms. It could be worse though; how many other places have you queued with such spectacular scenery and the option of jumping in the sea whilst you wait? 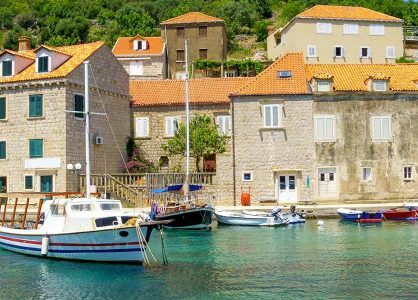 The sleepy island of Vis was taken over for six weeks of filming by the star studded cast of Mamma Mia! Here We Go Again!. 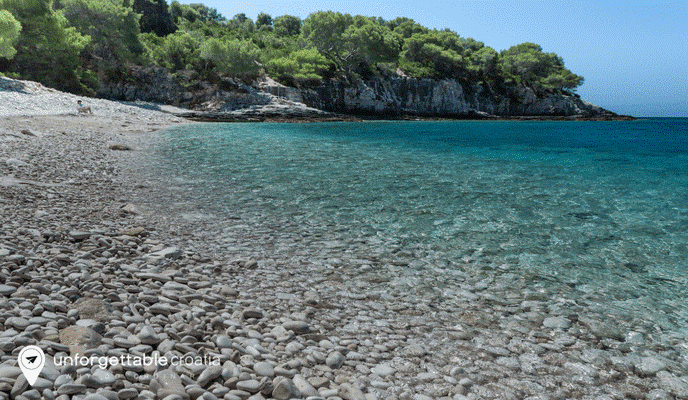 The film was shot largely on Barjoska Bay in the little town of Komiza on the west of the island. 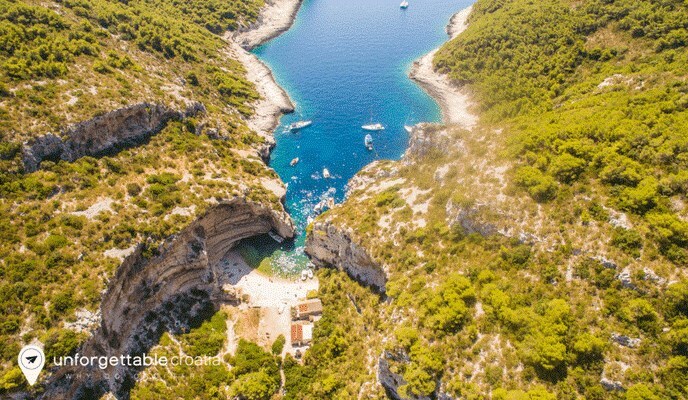 Also featured in the film is Stiniva Bay. Voted Best European Beach in 2016, Stivina has a narrow entrance through dramatic cliffs which open out to a sheltered white pebble cove. Another one for the history enthusiasts; under Vis’s verdant surface lies a network of tunnels created by the Yugoslav National Army. You can walk through the tunnels to see eerie abandoned furniture and hear the echo of your footsteps in the large arched concrete structures. Explore coastal bunkers with their disabled cannons which point out over the sea towards Bisevo. You can also explore the impressive tunnel built for submarines. It’s about 120 metres in length and 12 metres deep. Whilst there’s a platform along the edge which you could walk along, it’s also possible to swim its length. For more information, call us on 020 8004 2345. We’d be happy to talk you through your options.